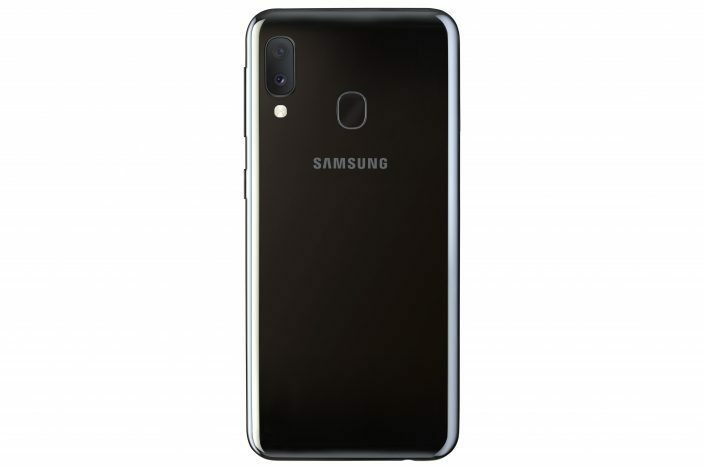 Samsung Launches New Galaxy A Family For New Smartphone Generation – Samsung Newsroom U.K.
LONDON, UK – April 10, 2019 – Samsung Electronics Co., Ltd today officially launched the new Galaxy A family with the unveiling of three new smartphones – the A20e, A40 & A80 – which join the already announced A10, A50 and A70, creating Samsung’s strongest-ever lineup in this segment. The all new Galaxy A brings exciting industry innovations to a new generation of customers, providing flagship-style features and experiences at a truly accessible price point. Launching with a range of six devices, the Galaxy A family allows customers to choose a phone that best suits your lifestyle and budget. Whether you want the biggest and brightest screen to watch your content, a super wide-angle triple-lens camera or an intelligent battery powerful enough to keep you going, Galaxy A has it all. The Galaxy A20e features a 5.8” Infinity V display, providing picture perfect quality, designed to keep up with your everyday demands. Equipped with a powerful 3,000mAh battery, the A20e allows you to watch your favourite films, play games or multi-task, safe in the knowledge that your battery has true staying power, while its 15W fast-charging technology means that just a short charge is enough to get you going again. The Galaxy A40 is for those who want a compact form factor, without having to compromise on viewing experience or performance. The edge-to-edge 5.9” Infinity-U display offers an uninterrupted visual experience that fits comfortably in your hand. Whether streaming TV or gaming, the Full HD+, Super AMOLED display delivers outstanding picture quality and clarity. The A40 is packed with clever camera technology, such as a rear dual camera that enables wide angle shots of up to 123° and an intelligent AI Scene Optimiser that brings out the best in every picture. It also features a powerful 25MP front camera that’s able to optimise under and over exposed scenes, so you always look you’re best. Designed with the digital native in mind and created with Samsung’s first rotating camera, the Galaxy A80 lets people seamlessly capture the world around them. The automatic pop-up rotating camera not only delivers the same extraordinary experience for both rear and front camera but also allows for an uninhibited full screen display. The new Super AMOLED 6.7” FHD+ Infinity Display brings you content in vivid detail and, combined with Dolby Atmos sound, allows for a fully immersive experience. The Galaxy A80 also features an intelligent 3,700 mAh1 battery which learns your daily routine and app usage patterns to optimise your phone’s power consumption and its Super-Fast Charging 25W capability will mean you spend less time connected to a charger. Typical value tested under third-party laboratory condition. Typical value is the estimated average value considering the deviation in battery capacity among the battery samples tested under IEC 61960 standard. Rated (minimum) capacity is 3300mAh for Galaxy A10, 2900mAh for Galaxy A20e, 3020mAh for Galaxy A40, 3900mAh for Galaxy A50, 4400mAh for Galaxy A70 and 3600mAh for Galaxy A80 . Actual battery life may vary depending on network environment, usage patterns and other factors.